Patrick Melrose burst onto our screens in the biggest, boldest and most bizarre series premiere this year. The Sky Atlantic series is hard to describe, and the first two episodes were starkly different. 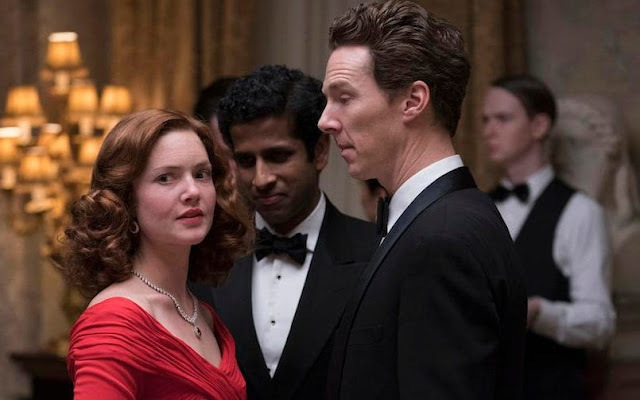 The first was comically dark, and introduced us to the eccentric eponymous protagonist himself — played wonderfully by Benedict Cumberbatch — while the second took us back to the ’60s for an emotional rollercoaster, where we learned why Patrick is the way that he is. However, the third instalment in this five-part series is almost an amalgamation of the two tones. We’re back with the older iteration of Patrick from the first episode, but the tone is more reminiscent of the second episode, and there is very little to laugh at in this one. Set in 1990, we focus on one particular part of Patrick’s life that was a challenge to him — a time when he was clean. We’ve flashed forward quite a bit since the events of Episode 1, so it’s great to see that Patrick actually managed to give up his dangerous habit. But for the character, It’s a dreary existence — something that the Patrick from Episode 1 would’ve likely described as boring, or deliriously dull, or something equally as quintessentially British. But, despite his progress, it doesn’t take us long to work out that he’s struggling to keep his mind off the drugs. That is, until his father’s old mate Nicholas (Pip Torrens) shows up and invites him to Bridget Watson Scott’s (Holliday Grainger) party for her husband. Patrick isn’t thrilled at the thought of going, but it’s something to keep his mind from wandering. 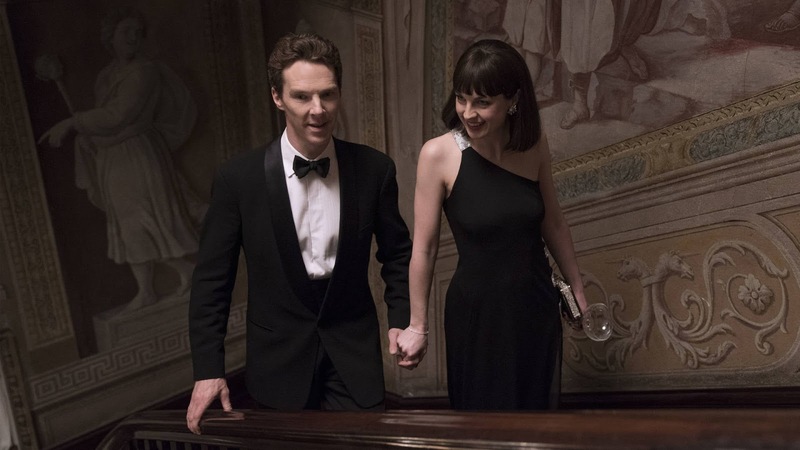 David Nicholls pens another strong episode, and Cumberbatch delivers yet another brilliant performance. But there are less theatrics this time round. Without the drugs as a diversion, we get to see the fragility of Patrick’s state of mind — the torment that he’s suffering internally. The irate drug addict from the first episode is still present at times, but there is a much gentler man at the centre of this chapter. A broken man. Aptly titled “Some Hope”, this episode gives Patrick exactly that: hope. He refuses to talk about his feelings, but without the drugs to mask his pain, he is unable to keep his demons hidden. He dreams about his father’s abuse, and this gives us yet another opportunity to see the wonderful Sebastian Maltz portray the younger iteration of Patrick. Patrick is haunted by his father’s actions, and this is evident in the scene where Princess Margaret (Harriet Walter) verbally abuses one of the party attendees — he’s instantly thrown back to what he went through with his father. Watching all of the rich and famous mingle at Bridget’s posh party is the wakeup call Patrick needs. In a gut-wrenching moment, he opens up to his friend Johnny (Prasanna Puwanarajah) about the sexual abuse he suffered at the hands of his father. The theatrics are gone, —as is the annoying interior voice —and we’re left with a brutally honest conversation. It marks a turning point for Patrick, and it’ll be interesting to see if opening up has helped him finally come to terms with what happened to him as a child, and if he’ll be able to move on. As has been the case in the previous episodes too, Edward Berger’s direction is wonderful. Additionally, the cinematography is top-notch. The vivid colours pop and you can almost tell that the show was meant to be viewed in 4K — a service that Sky now offers. But, no matter how you view Patrick Melrose, the script and the wonderful performances — Cumberbatch specifically — will be the same. Cumberbatch brings a new side to Patrick in this episode. The character became a bit more likeable and, without the drugs, he’s a lot less full on, which is no bad thing. There are only two episodes left of Patrick Melrose, and the series has yet to disappoint. The third episode may have been the least entertaining of the lot so far, but it was still magnificent, and if that’s not a sign that you should be watching this show then I don’t know what is. Patrick Melrose continues on Sundays at 2am and in a more regular slot at 9pm on Sky Atlantic.